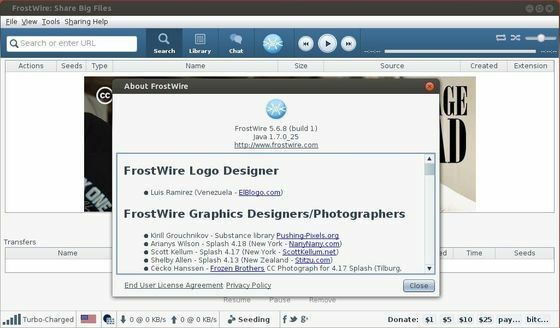 The free and open source BitTorrent client FrostWire released v5.6.8 for Windows, Mac OS, and Linux. This release mainly fixes issues related to YouTube search and greatly improves the translation to Spanish. According the official blog post, a final fix is coming to bring back all the search results to UK users, the developers are working as fast and hard as they can. Download FrostWire for: Ubuntu/Linux Mint/Debian, Windows, Mac OS X, Tarball.